It's migration time and northern breeding waders will be moving north, soon, if not already. The northward spring migration is usually a short sharp migration with the urgency heightened by the need to breed. There are three flyways in the Americas; Pacific, Mississippi and Atlantic Americas Flyways. There are 74 species of wader that occur in the Americas (including the Eskimo Curlew which is in all probability extinct). Of these 44 occur in North America and 60 in South America with 31 of these species travelling between the two. 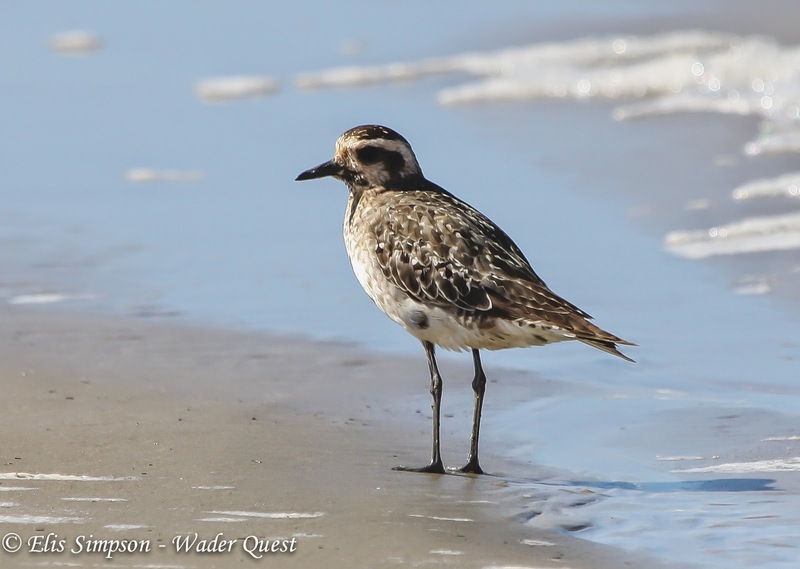 There are, 6 plovers that occur in both North and South America; 5 of them are migrants that travel between the two continents and they are Grey, American Golden, Semipalmated and Wilson's Plover plus Killdeer. The 6th species, Snowy Plover also occurs in both continents, but the southern population is resident and the northern, although migratory does not reach south America just getting as far as Panama. 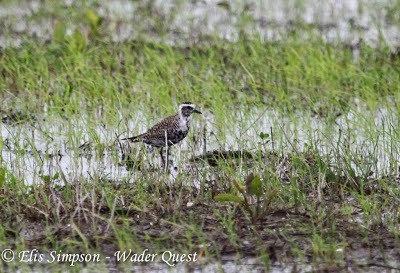 Grey (Black-bellied) Plover Pluvialis squatarola; Least concern, global population estimated at 692,000 individuals. Global population trend declining, American population appears stable in study that covered 50% of range. 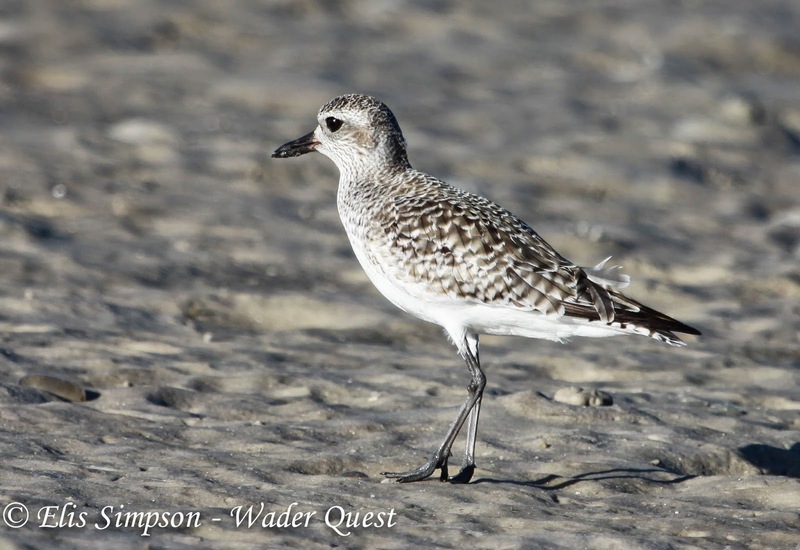 Adult Grey Plovers move south from the breeding grounds in the Arctic tundra between July and September with the juveniles leaving some 5 or 6 weeks after the adults, migration continues up to about November. The wintering grounds are coastal and range from Canada on both the Atlantic and Pacific coasts to Argentina and Chile respectively. The return movement starts in April and some birds don't leave their wintering grounds in northern South America until as late as June. As they move north across North America they do so along both coasts and up the Mississippi valley. These birds return in a variety of plumage stages, some almost in full breeding plumage and others, possibly first year non-breeding birds still in their winter garb. Most first year birds do not make it back to the breeding grounds instead only partially migrating along the route or remaining on the wintering grounds for their first summer. Grey Plover Pluvialis squatarola; Almost in full breeding plumage, the very black appearance would suggest this is a male. Galveston, Texas, USA. April 2013. Grey Plover Pluvialis squatarola; This bird is in much less advanced moult, again probably a male and also possibly a first breeding year bird when most do not acquire full breeding plumage. This photograph was taken on the same day at the same location as the photograph above. Galveston, Texas, USA. April 2013. Grey Plover Pluvialis squatarola; non-breeding plumage. Bunche Beach, Florida, USA. December 2012. 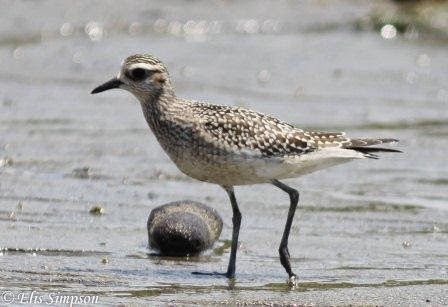 American Golden Plover Pluvialis dominica; Least concern, global population estimated at >c200,000 individuals. Global population trend declining, American population trend declining. American Golden Plovers move south very often over the Atlantic, their migration taking them in a large circuitous loop. Some, apparently mainly juveniles use more westerly routes along the coasts or through the central plains. When they return to the north it is by a much more inland route through South and Central America or across the Gulf of Mexico to Texas. They reach their Canadian breeding grounds in late May leaving again from early August. American Golden Plover Pluvialis dominica; this was as close as we got to seeing this species in breeding plumage which as you can see is in transitional plumage from non-breeding to breeding. Rice Country, Louisiana, USA. April 2013. American Golden Plover Pluvialis dominica; non breeding bird with one or two black feathers remaining around the face and underparts. Tavares, Rio Grande do Sul, Brazil. October 2013. American Golden Plover Pluvialis dominica; juvenile note the brown barring on the breast and underparts. Parati, Rio de Janeiro, Brazil. October 2011. Semipalmated Plover Charadrius semipalmatus; Least concern, global population estimated at >c150,000 individuals. Global population trend stable, American population trend increasing slightly in study that covered 50% of range. 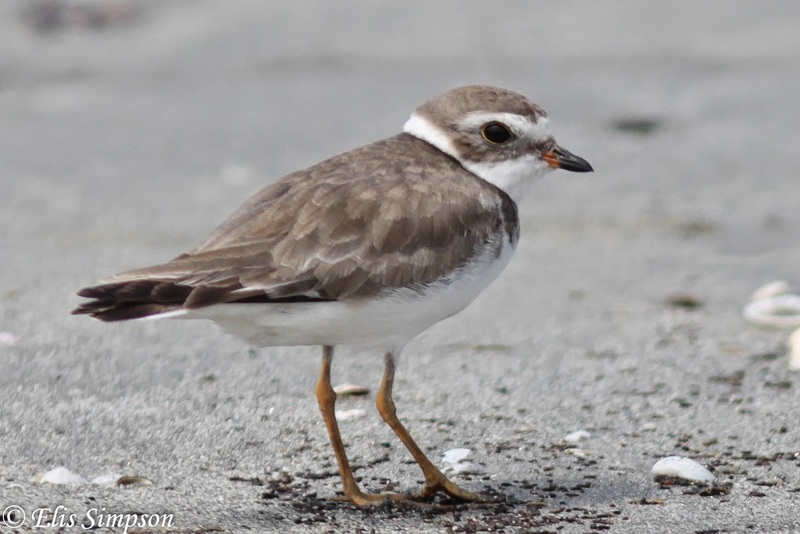 Semipalmated Plovers are also long distance migrants breeding across northern North America and leaving there from early July heading south mainly along the coasts to the coasts of southern North America and South America as far south as central Chile and southern Argentina. Once again non-breeding birds can be found all year on the wintering grounds as we found in south-east Brazil when we were living there, encountering small numbers in most months of the year. Semipalmated Plover Charadrius semipalmatus; Adult breeding, Galveston Texas, USA. April 2013. Semipalmated Plover Charadrius semipalmatus; Non-breediing plumage. Parati, Rio de Janeiro, Brazil, February 2012. Wilson's Plover Charadrius wilsonia; Least concern, global population not available. American population trend decreasing. Wilson's Plover has a large resident population in Central America the Caribbean and Florida, but those further north in North America are migratory. In the west birds range down as far as Peru outside the breeding season and birds in the east migrate as far as Brazil. In South America there is a resident population in the north and there is also thought to be a resident population in Brazil that may constitute a separate subspecies. Wilson's Plover Charadrius wilsonia; adult male. Galveston, Texas, USA. April 2013. Wilson's Plover Charadrius wilsonia; adult female. Galveston, Texas, USA. April 2013. Wilson's Plover Charadrius wilsonia; first winter bird showing pale juvenile coverts and plain upperparts. Key Biscayne, Florida, USA. November 2013. Killdeer Charadrius vociferus; Least concern, global population estimated at 1,000,000 individuals. American population trend decreasing. 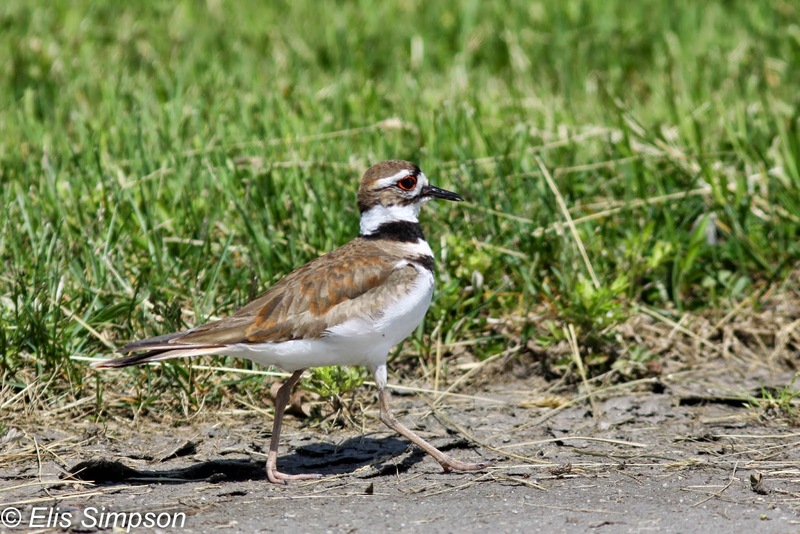 The Killdeer is another species with both resident and migratory populations. The sedentary populations live in the Greater Antilles and Peru while the migratory population, the nominate race, breeds across central and southern North America and winters down to north-west South America. They move south from August to November with the bulk moving in late September returning as late as March. They are particularly common along the coast on passage but they also migrate across a broad front across the continent. Killdeer Charadrius vociferus; Adult. Galveston, Texas, USA. April 2013. Birdlife International (2014) Species factsheet: Pluvialis squatarola. Downloaded from www.birdlife.org on 07/04/2014. Birdlife International (2014) Species factsheet: Pluvialis dominica. Downloaded from www.birdlife.org on 07/04/2014. 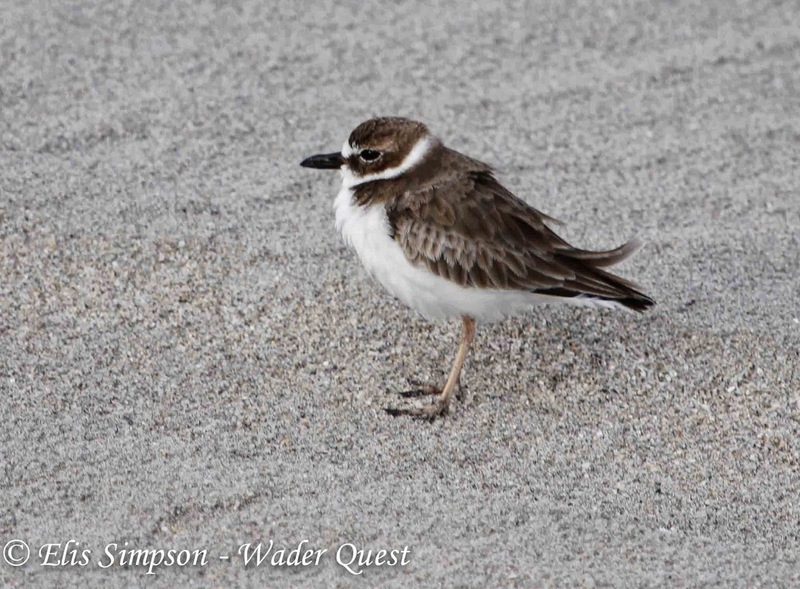 Birdlife International (2014) Species factsheet: Charadrius semipalmatus. Downloaded from www.birdlife.org on 07/04/2014. Birdlife International (2014) Species factsheet: Charadrious wilsonia. Downloaded from www.birdlife.org on 07/04/2014. Birdlife International (2014) Species factsheet: Chardrius vociferus. Downloaded from www.birdlife.org on 07/04/2014.